With a worldwide client base in North America, Europe, and Australia; we currently support website owners, startups, small to medium-size digital agencies, and even large U.S. Fortune 500 media companies through our innovative link building campaigns. We have put well over 8 years of research, testing, failing, succeeding (rinse and repeat) into where Invalley is today, and we plan on continuing our journey forward and staying a step ahead of the ever-changing SEO trends. Kay Evers and Joost Smedts formed Invalley out of a hobby in August, 2010 in Malden, The Netherlands. So far, it has been an amazing ride and they say, time flies when you are having fun! Luckily it is not just the two of us anymore. We built a super talented team of SEO experts, content writers, link builders and campaign managers that are standing by to help you with any challenges with your campaign. It might be because of our Dutch roots, but attention to detail and innovation are key to Invalley. We hope this reflects in every detail; right from our website design to our backlinks, and in the final reports we send you. Reliability - We want to be a partner you can count on. When you have any questions, we provide quick and professional responses, deliver reports on time, and we do what we say. We know from experience that this isn’t always self-evident in the SEO industry. Honesty - SEO is a complex puzzle. Getting more backlinks is one of the most critical pieces to solving that puzzle, which is why Invalley is dedicated to helping you to build a strong and natural link profile. However, there are more pieces needed to achieve high rankings in the SEO puzzle. We know how important it is to provide you with a full and clear picture and let you know what to realistically expect right from the start of your campaign. Positivity - By approaching our client and team challenges positively, we can achieve more. We try to communicate in a light and relaxed way to our customers and within our team. We are always self-critical when a situation asks for it and we provide constructive feedback to try and achieve better results. Freedom - Invalley has an open and young company culture. Creativity is central to our success. We believe that our team excels when they have the freedom to choose their own workplace and working hours, as long as deadlines and goals are met. We are not perfect (yet), but are always working hard to improve our services for our clients. Do you share our values? Then we might be the perfect match! Drop us an email and we’ll get back to you. 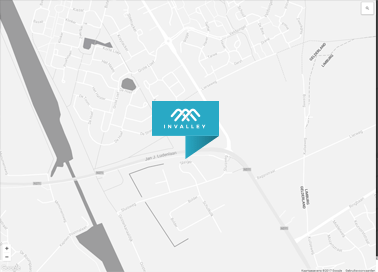 I am the co-founder of Invalley and I am from Malden, Netherlands. Don’t even try to look up Malden in Google Maps because you probably won’t find it : ). When you order a link building package from us, my job is to make sure that the service provided is of extremely high quality. I’m responsible for managing sites in our backlink database and improving details of campaigns to make them more effective. If you are familiar with the terms DA scores, anchor text distribution, or link velocity, you probably know what I’m talking about. I also support our team with campaign management and develop new link strategies while creating marketing campaigns to promote our services. Oh and in my spare time I watch soccer. Messi is the best player ever, and Hertog Jan is the best beer! Hey there, my name is Kay and I am from Nijmegen, Netherlands. I am a co-founder at Invalley. I ensure that all business processes run smoothly. This helps Invalley to deliver your campaigns in the best way possible, and helps our team work together in the most effective manner with smart collaboration tools. Improving client experience and satisfaction are another key focus in my day-to-day operations. To find out where we need to improve, I oversee everything that is happening in the Invalley dashboard. Because of this, I can make sure reports are delivered on-time, and support tickets are taken care of. Hello! I am the Campaign Manager and I am from Alberta, Canada. I’m a world traveller and a Husky Mama. I am now located in the Southern United States. When Invalley receives a new order, I set up the reports and begin outsourcing the content creation and link building tasks. Basically, from the beginning of your order until report delivery, I ensure the process runs smoothly and that our writers and link builders follow campaign instructions and all links are live before report delivery. I communicate with Kay and Joost about any issues, glitches, and client concerns so we can tackle the problem right away. I’ll basically be your point of contact throughout the entire duration of your campaign. So, expect to hear from me through the dashboard with campaign updates, answers to your inquiries, and when delivering your final report. As a writer and editor, I ensure that the writers we work with produce quality content and I don’t accept anything less. I guess you can say that I am a stickler for grammar and detail. However, I am human too and if I(we) make a mistake, I believe in being 100% accountable and honest while doing what I can to fix the problem.